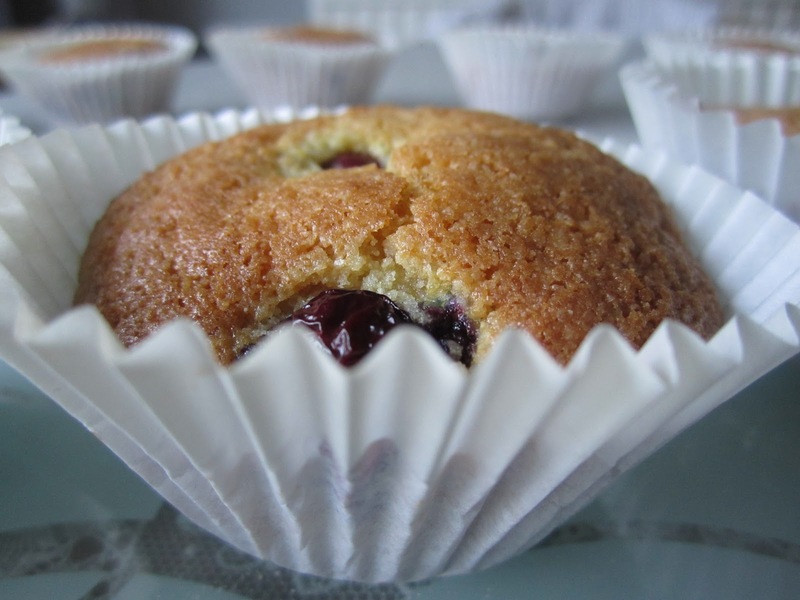 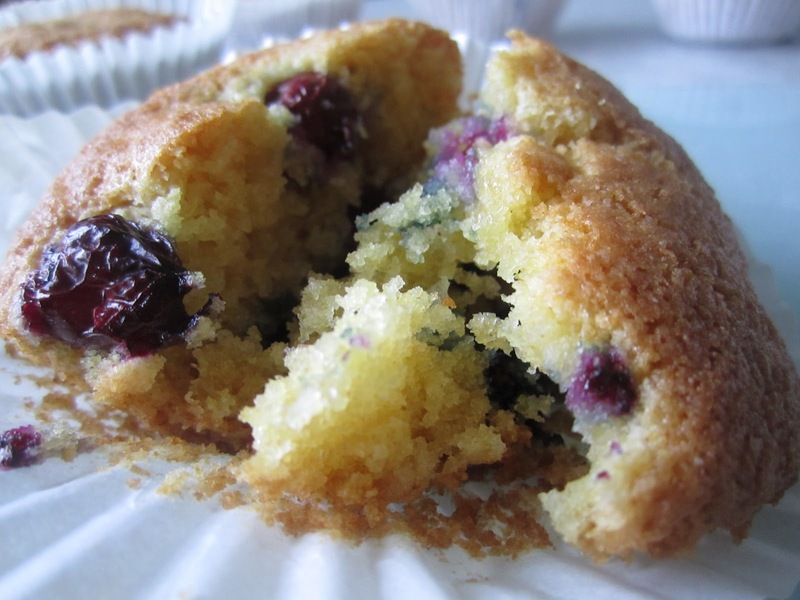 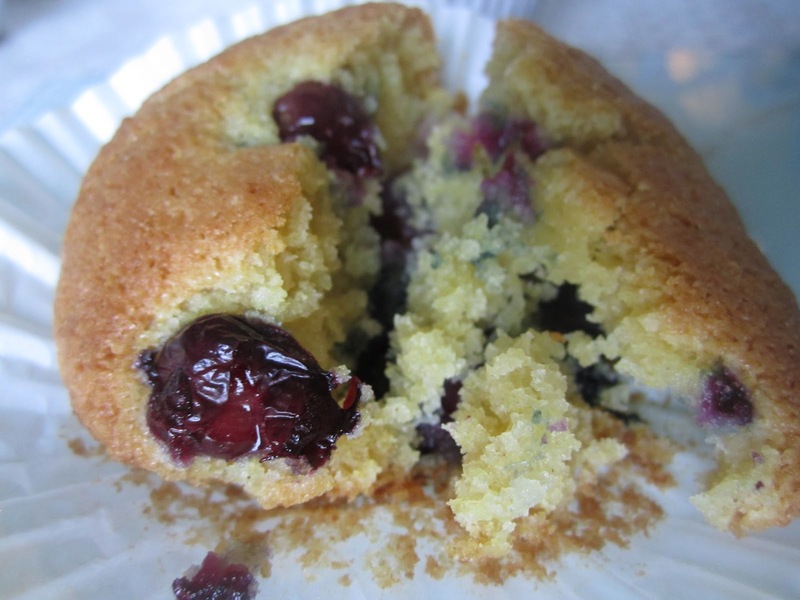 These muffins are slightly different from your usual blueberry muffin because of the addition of cornmeal. 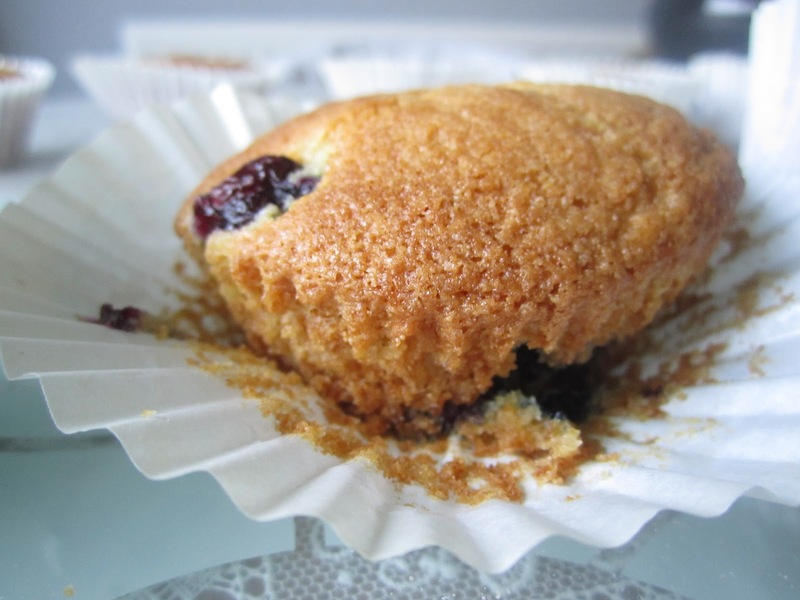 This makes the top golden and crunchy. 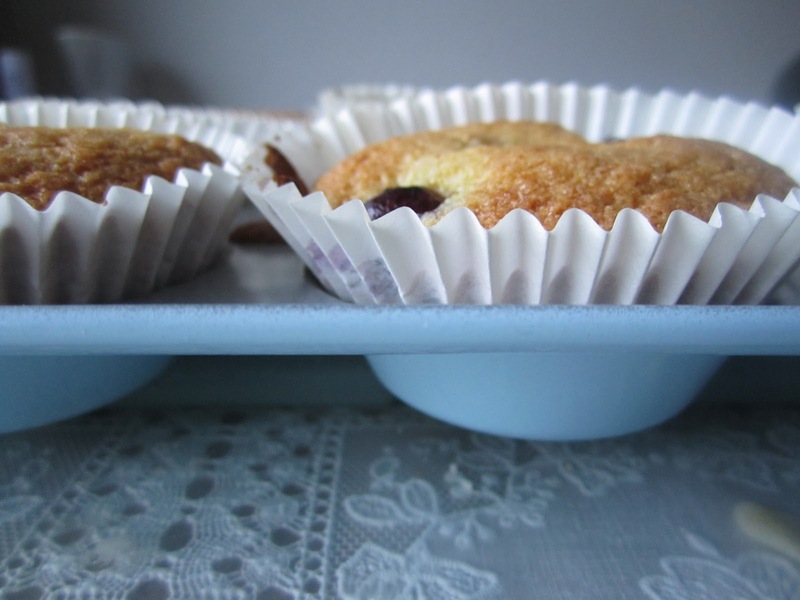 The cornmeal also means that the tops are flat rather than domed. They are from Nigella Kitchen. 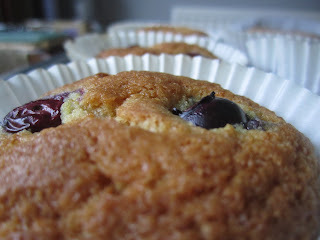 The recipe makes 12 but the muffins are quite small so they do get finishes very very quickly…if you wanted a slightly healthier muffin you could I suppose experiment with reducing the sugar and upping the blueberries….Also I found the stipulated 200◦C too high-the tops got browned too quickly so maybe 180◦C would be better. 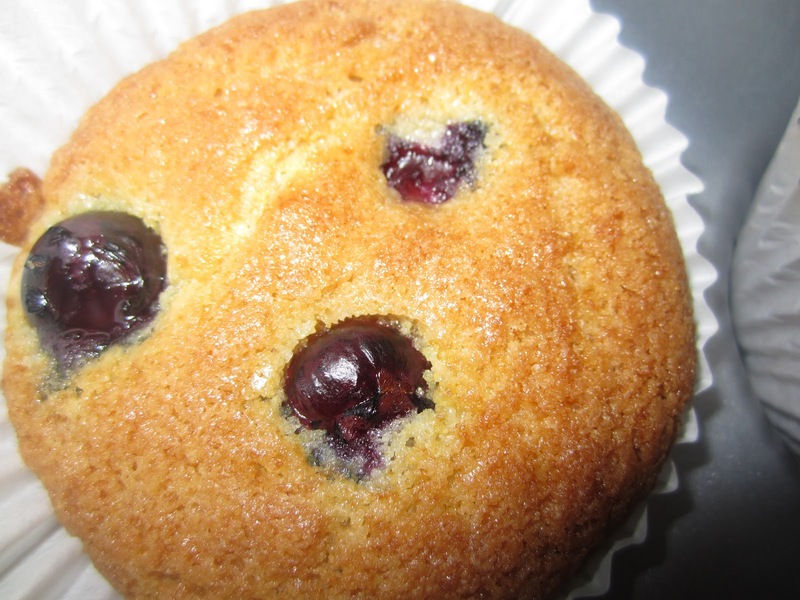 They are very yummy eaten warm. Divide this batter between each case, dot the remaining blueberries on top-about three per muffin.